Ideal For Stream On Lake! 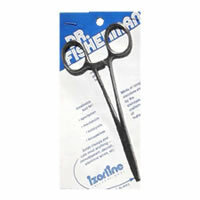 Our "Dr. Fisherman" (Serrated ScissorForceps) is ideal for removing freshwater fish hooks, cutting line, holding files, etc. Come card pkg./clamshell pkg. 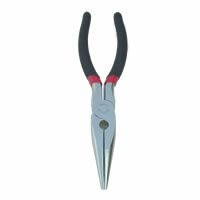 Our 5" stainless steel diagonal pliers is ideal for cutting mono close to hooks or jigs. 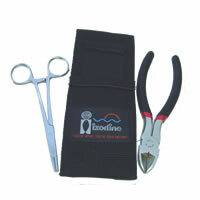 IZORLINE has put together two of our most popular Tool, the "Dr. Fisherman" (serrated scissor-forceps) and our 6" Long-Nose Pliers. 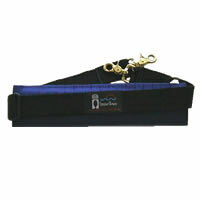 Games with black web double sheath which can be Slipped through or clipped on your belt. Come card pkg./clamshell pkg. 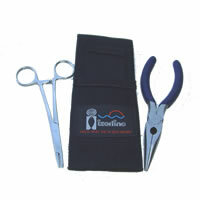 For those who prefer Diagonal Cutting Pliers, IZORLINE has put together the "Dr. Fisherman" (serrated scissor-forceps) and our 6" Diagonal Pliers. Comes with black web sheath with clip. Be prepared for any situation!!! Come card pkg./clamshell pkg. 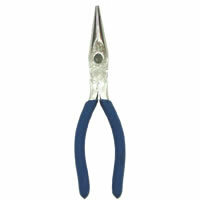 4½" MINI DIAGONAL PLIER Ideal for cutting fine Monofilament. 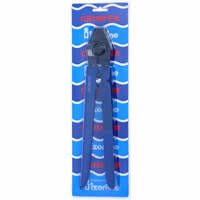 Great for freshwater application! Can also be used for saltwater too. (#030370-pkg, #030363-bulk). 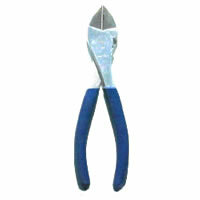 6" LONG NOSE PLIERS Economically priced tool comes with nonslip handles (#000731-pkg, #030059-bulk). 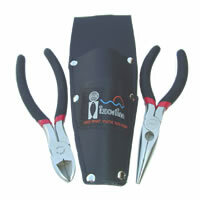 6" DIAGONAL PLIERS Economically priced tool for every day use. 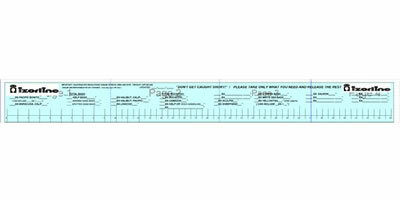 Non slip handles (#000748-pkg, #030011-bulk). 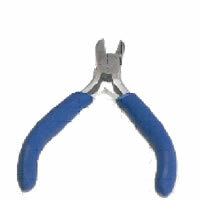 7" DIAGONAL PLIERS Economically priced tool for every day use. 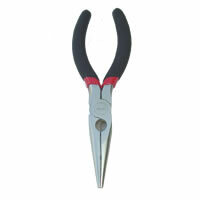 Ideal for cutting wire as well as Monofilament! (#000623-pkg, #000618-bulk). 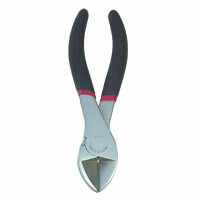 8" LONG NOSE PLIERS Large precision made, heavy duty pliers. 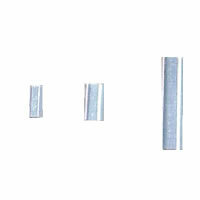 Non slip handles (#000571-pkg, #030080-bulk). 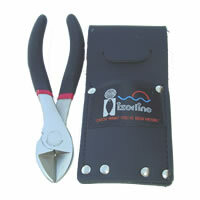 Outstanding Tools - Outstanding value!!! 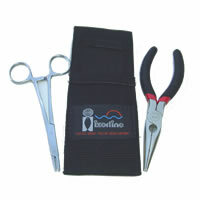 A set with 6" Diagonal pliers matched to a double pocket, and 6" Long Nose. Come card pkg./clamshell pkg. 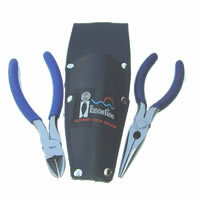 8" Heavy Duty Long Nose pliers with sheath. A Top seller!!! Come card pkg./clamshell pkg. 7" Diagonal made of High Tempered Steel, matched with square cut sheath. Come card pkg./clamshell pkg. 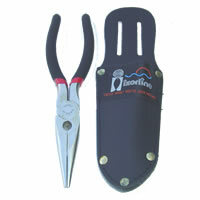 5" MINI STAINLESS DIAGONAL PLIER Ideal for cutting fine Monofilament. Great for freshwater application! Can also be used for saltwater too (#030400-pkg, #030394-bulk). 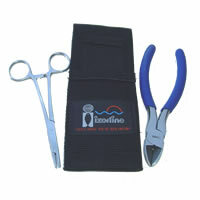 Combines our popular 6" Stainless Long Nose pliers and 6" Stainless Diagonal with our premium double artificial leather sheath or leather sheath. Come card pkg./clamshell pkg. 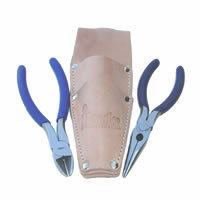 7" Stainless Heavy Duty Diagonal Pliers with leather sheath. Come card pkg./clamshell pkg. 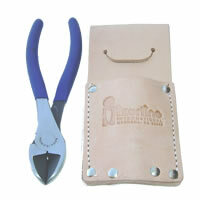 8" Stainless Heavy Duty Long Nose Pliers with leather sheath. Come card pkg./clamshell pkg. America's most versatile fishing tool! 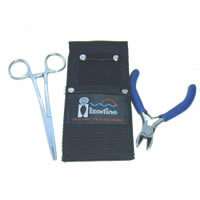 Made from stainless steel for with its serrated long lasting use. 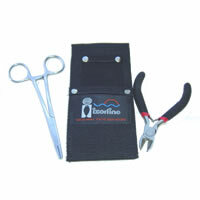 This durable tool scissors cuts all fishing line including heavy monofilaments. Especially useful for unhooking fish!!! 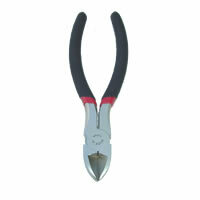 This mini tool is made from Stainless Steel for durability. Great for holding small reel parts. A MUST FOR TROLLING!!! Trolling can be a very rewarding way of locating and catching schooling fish. Trolling can also be very BORING! We at IZORLINE have the answer! 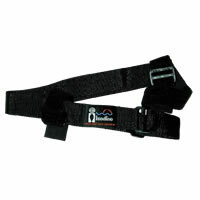 It's our HEAVY DUTY RAIL STRAP. Holding onto your heavy trolling outfit for 30 minutes Or more and then having a large TUNA, WAHOO, OR OTHER GAMEFISH grab your outfit out of your hands and into the ocean -it's embarrassing, expensive and it doesn't have to happen to you! 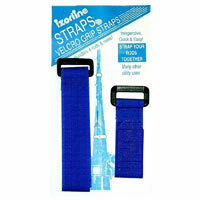 Try our RAIL STRAP! It saves your arms; and it saves your rod and reel!!! 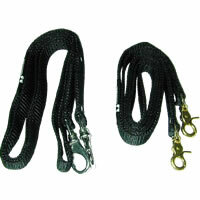 REEL STRAP is designed to help avoid dropping your rod and reel overboard. Don't let a big fish pull your rod out of your hands if the reels in gear. You can also use it when you're trolling. It is especially handy when you are fishing a heavy 2-speed reel. 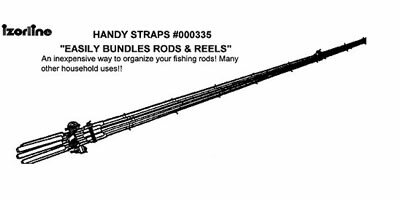 "CARRY RODS & REELS THE EASY WAY" The easiest way to carry your rods & reels! CAN YOU USE AN EXTRA HAND? Loop through your arms or sling over your shoulder! 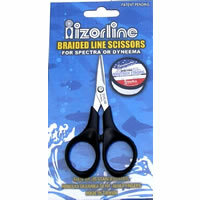 Izorline braided-line scissors are designed to cut Spectra and Dyneema. 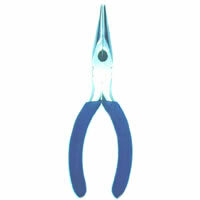 These scissors are manufactured from high quality, anti-corrosion JIS Stainless Steel. 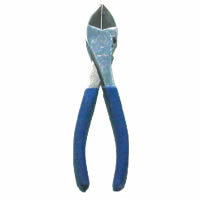 They undergo an advance hardening and grinding process. This results in clean and neat and clean shearing performance. 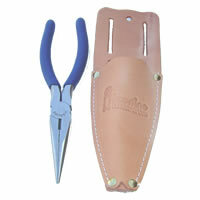 Cutting lines other than Spectra or Dyneema, may dull these scissors. 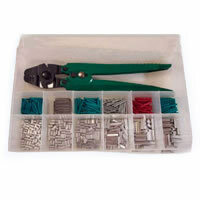 Our new Izorline crimp kit includes everything you need for a Long-Range trip! 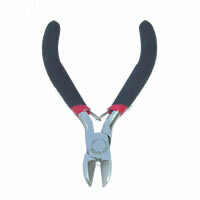 We have provided a generous supply of aluminum crimps and anti-chafing springs, designed specifically to fit 100lb. To 400lb. Izorline Premium Monofilament (while the crimps and springs will fit other brands of mono, why risk loosing a fish of a lifetime!). Our laboratory tests conclude that our anti-chafing springs increase monofilament break strength by up to 12%. 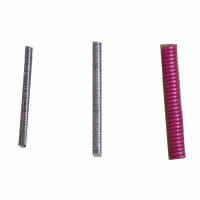 * Actual kit contains uncut coated spring to maintain low prices. DON'T GET CAUGHT SHORT! 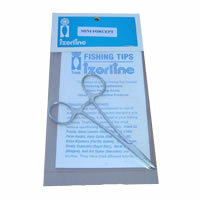 The new Izorline Fish Measure can be modified for the species being fished! Easily, updated for changing size requirements! A Must For Any Fishing Boat!